Vandaður spjaldtölvustandur fyrir 9-11 tommu spjaldtölvur. Sterkbyggt úr áli. Stillanlegur og gullfallegur. 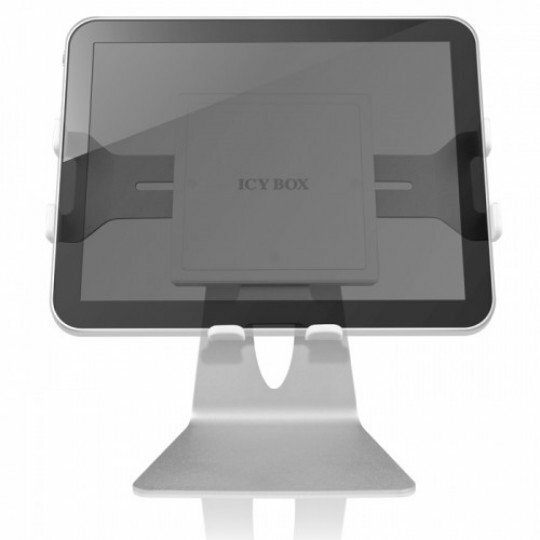 This holder for tablets up to 11.9" screen diagonal (equivalent to approximately 30 cm) is iPad 1/2 compatible, and made of robust metal. It doesn't get any better than this! You want to find an ideal location to work and play? You can rotate the tablet stand up to 360° and bend it up to 90°. Well made for every angle.